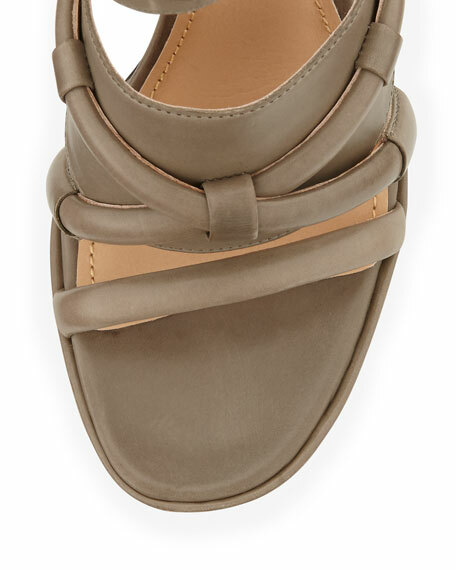 This Rachel Zoe sandal is a strappy sensation with crisscross piping and cuff details. Smooth, soft calf leather with tonal topstitching. Piped straps crisscross at vamp. Wide bands at vamp and ankle. Small covered platform lowers pitch.